Running operated by full rotary die cut method or intermittent die cut method. Die is easy in change, save a lot of time in die mold adjustment. Micro adjustable for the depth of die, able to dotted line cut/full cut/kiss cut procession. Servo driver and HMI control system, easy in operation, to upgrade the speed and precision control. 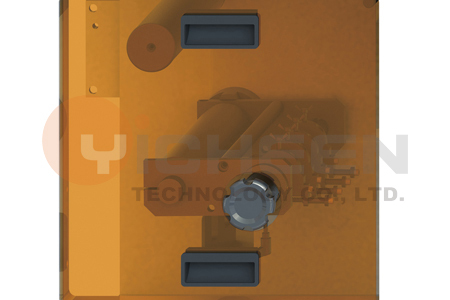 Sensor detector and alert for broken material to reduce material lost. Optional module for satisfying customized demands.